Amsterdam is a city full of charm and beautiful places to visit. Here, you can find art galleries, unique architecture and interesting events. 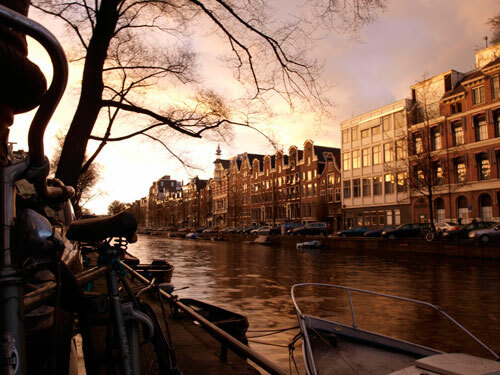 If you are thinking what time is right to visit Amsterdam, the answer is simple: anytime. People will not postpone an event or party because of the rain, so you don’t have to worry about that. This is a short guide to help anyone who wants to travel to Amsterdam. Next, we will briefly present the major events that might interest you, in chronological order. Realism 08 Art Fair: Since 2003, a few days in the middle of January, more than 30 galleries exhibit realistic art works. During this event, the visitors have the opportunity to express themselves through art by painting in a realistic way. Chinese New Year Celebrations: The Lunar New Year (also known as Chinese New Year) is the most important event from the Chinese calendar. During it, the streets are full of loud people, lion puppets and the color red. You can also listen to traditional Chinese music and watch a Chinese theatre play. HISWA Boat Show: Every year, more than 300 exhibitors come to the annual boat show held in Amsterdam where they meet visitors and sometimes future clients. Amsterdam Fantastic Film Festival (AFFF): since 1986, the AFFF in one of the most prestigious film events, gathers more than 300.000 participants every year. Here, you can find any kind of movies: horror, thriller, fantasy, sciencefiction, anime and cult. Holland Festival: Starting with 1947, the Holland Festival is Netherland’s most important artistic festival, offering a complex experience: music, dance, theatre and opera. The event aims to combine the new art with the classic one, the result is a mixture between old and new; a “must see” for any art lover. The Open Garden Days (Open Tuin Dagen): Each year, this is the opportunity to visit more than thirty private gardens and meet the dutch owners. Amsterdam has some amazing gardens which are not usually accessible, because they are not public. Something similar can be seen in the museums, but the Open Garden Days is an event that brings together tourists and locals to enjoy the nature’s wonders. Amsterdam International Fashion Week: Since 2004, this event gathers fashion lovers from all over the world, it is well-known for the unique way to approach originality. The guests are the generation of so called New Luxury, and this is one of the places that shows today what people will wear tomorrow. Uitmarkt: This event, also known as “the mother of all cultural activities in Amsterdam”, gathers more than 2.000 artists, 500.000 visitors and 250 cultural institutions. It is well-known for the unique book market that offers new titles, but also antiques. Inside Design Amsterdam: Organized since 2003, this event gives you the opportunity to find out what is new in interior design and fashion. ING Amsterdam Marathon: This is one of the most important marathons worldwide, having the first edition in 1975, it reunites more than 20.000 participants every year. Part of this event is the Marathon Market, which presents sport clothing, shoes and accessories. pAn Amsterdam- Art and Antique Fair: More than 100 antique dealers come every year to Amsterdam to show and sell some of the finest antiques. It is fun to come and watch, but also to listen to the stories that the dealers have and maybe buy some of their products. Floriade: Is one of the most important world’s gardening exhibition, officially known as the World Horticulture Fair, had the first edition in 1960 and takes place every ten years. In 2010 is an amazing opportunity to see more than one hundred flower shows and enjoy the beauty of nature.